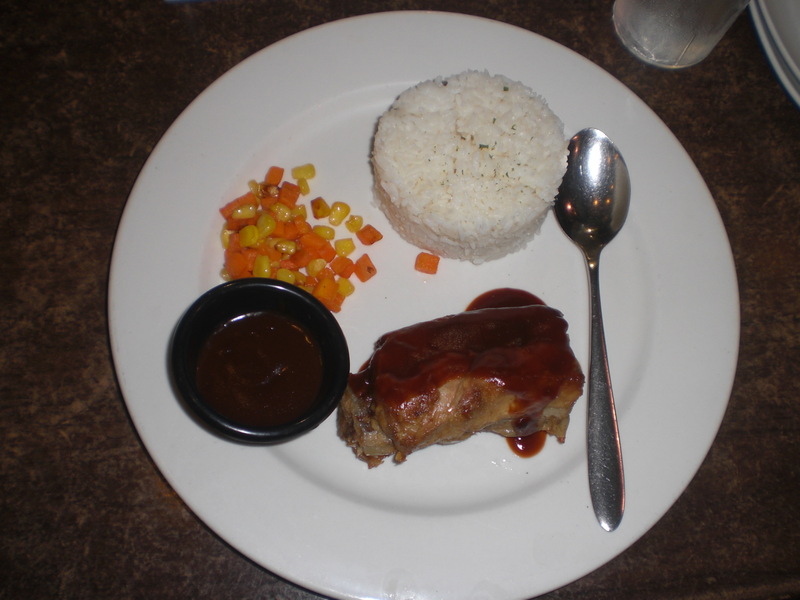 We had yummy dinner last Monday night at Don Henrico’s at SM Mall of Asia. I was craving for their flavorful Buffalo Wings dipped in their tasteful ranch dressing so I suggested the place to my family. Luckily they agreed without objection. My mom’s choice was the Ceasar Salad (good for sharing, 2-3 persons) since she didn’t want to stuff herself full. 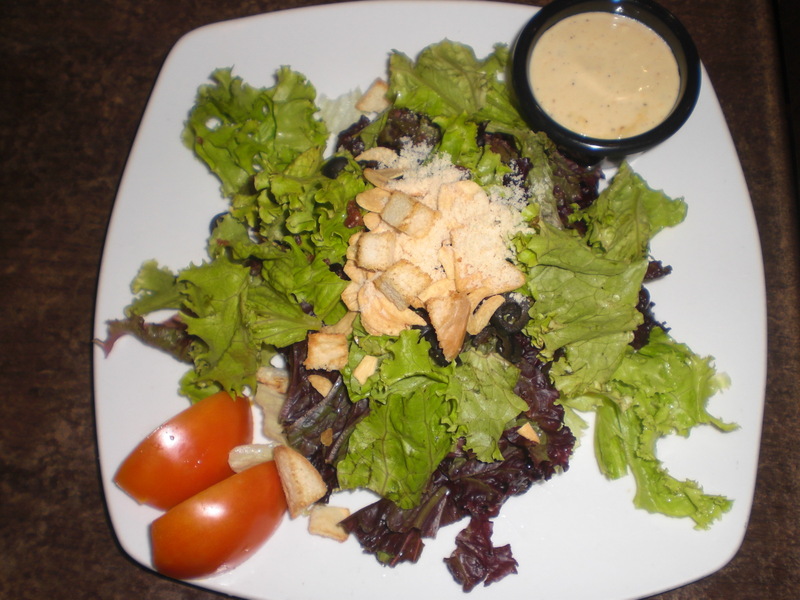 To me, Ceasar Salad is the same in all restaurants, what will make it particularly stand out from the rest is the salad dressing. Don Henrico’s Ceasar salad dressing is one of the best. It has the right amount of thickness, sourness and sweetness. My little girl’s choice was the Oven Baked Ribs. I am done with my Baby Back Ribs craving but obviously, my little girl, not yet. :) The Baby Back that they served to us lacked tenderness though, I was hoping it was the “meat easily falls off the bone” type, it was not. Without the sauce on top it tasted a little bland. Sauce was great though, perfect to my taste, tangy-sour-sweet combination. Hubby and I’s choice was the Buffalo Wings with ranch style dressing (we got the 7 pieces, good for sharing). It was more than enough for us so we took home the rest. It tastes sooooo good. Crunchy and sweet, with just a little kick of spice, the ranch dressing goes perfectly well with the buffalo wings flavor, it sort of balanced the taste. Sa dami ng order surely busog na busog kayo. I agree with your reviews about dining experience at Don Henrico’s. That’s what you want. Nice food, ambience, service oriented staff and affordable. One day I’ll blog about Don Henrico’s too 🙂 Haven’t tried their offerings yet. Good I read your blog. Seems that your whole family enjoyed all the food. I love Don Hen. A friend of mine was manager of this resto several years back. I miss the free food. Hahaha. Wow, kakagutom naman yan! Can’t believe I’ve never eaten there! Definitely next on my agenda!!! haha. no room for desert? Nice to know that old restos/food chains are still operating despite competition. 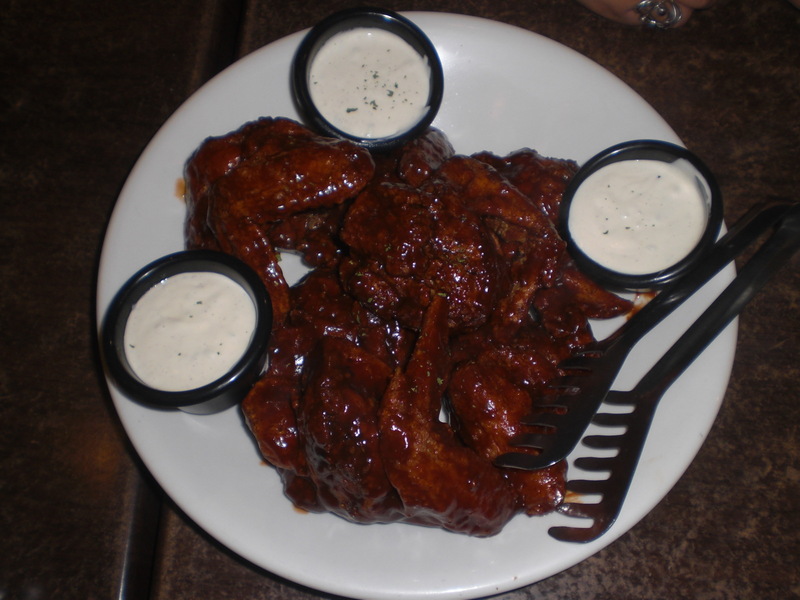 The buffalo wings – the bomb! 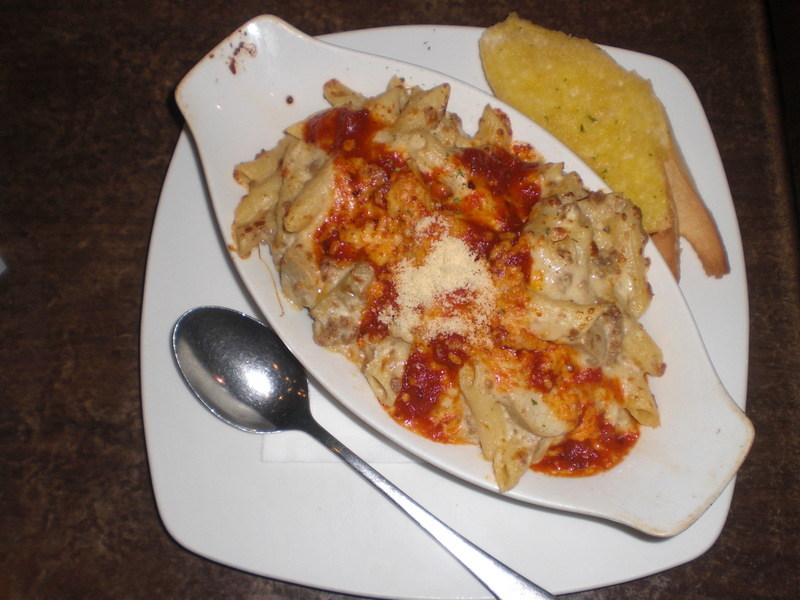 I love your photos of Don Henricos food. I especially love Don Henrico’s Emperor’s spaghetti with peanuts! Awww that makes my saliva drips. Ha ha ha!